Since the news broke that the World Health Organization classified cell phones as a “possible carcinogenic hazard” the media has been relentless. I think there is plenty we can do today to protect ourselves before we learn that cell phones really weren’t good for our health in the first place. (Think about the suppression of evidence regarding tobacco, asbestos, agent orange, HRT, and tanning beds.) I think that since EMFs target your cells—the membranes in particular— you must keep your minerals at top notch levels 24/7 to protect and defend yourself from cell collapse. Stealth stress generated by EMFs creates free radical damage, but it also does something more—like emotional stress, it floods the body with stress hormones, which produce more and more chemicals to transmit nerve impulses. The solution is the regular and proper intake of certain minerals, which promote blood formation, fluid regulation, protein metabolism, and energy production. 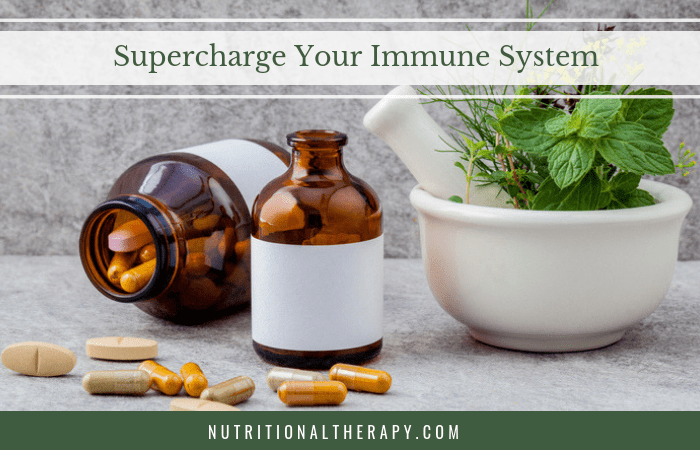 Here are my immune-boosting recommendations. Zinc: Essential to the functioning of every single cell in your body, it plays a role in about one hundred enzyme reactions. In one study, animals exposed daily to EMFs and then given zinc had higher levels of glutathione than animals similarly exposed but who weren’t given the mineral. Zinc also helps with DNA synthesis, cell division, wound healing, and overall immune support. – Optimum dosage: Adults nineteen and over: 50 mg; pregnant and lactating women: 50-100 mg; children fourteen to eighteen: 25 mg.
– Good food sources: Lean beef, poultry, legumes, mushrooms, kelp, spinach, pumpkin seeds, and eggs. NAC: Studies have shown that NAC, derived from the amino acid L-cysteine, will help raise levels of glutathione in the cells. A sulfur compound, it also acts as an antioxidant on its own. There’s also evidence that it boosts the immune system. In one study, Italian researchers created a scientific cage match between staph germs and immune cells. When they added NAC to some of the cultures, the germ-fighting ability of the cells was significantly enhanced. Not only that, they literally lived to fight another day—many immune cells die in the process of subduing bacteria, but more of the NAC-treated cells survived. NAC has also been studied as a cancer fighter. In that battle, it seems to prevent DNA damage by blocking the effects of carcinogenic compounds on cellular genetic material and by quelling the free radicals produced by cancer cells, which signal other cancer cells to grow. – Optimum dosage: Aim for at least 600 mg. daily. Ultra H-3: First discovered in 1949 by Dr. Ana Aslan of Romania’s National Geriatric Institute, procaine HCl repairs damaged cell membranes so they can absorb nutrients more effectively. More than five hundred laboratory studies by leading researchers show that procaine helps protect the brain from damaging electrophysiological changes. Its extraordinary rejuvenating powers are due to procaine’s ability to balance monoamine oxidase for improved mental clarity and to enhance circulation to the brain. A patented procaine product, Ultra H-3— in a matrix of ascorbic acid, citric acid, niacin, folic acid, biotin, and magnesium— lasts about fifteen times longer than Aslan’s original discovery and is considered 100 percent bioavailable. Ultra H-3 also contains gingko and bilberry extracts to ensure targeted delivery of nutrients through the blood-brain barrier. – Optimum dosage: 1-2 tablets twice daily with a glass of water, 6-8 hours apart, 1 hour before or 2 hours after eating. Superoxide Dismutase: SOD supplements have been used to reduce tissue injury brought on by radiation treatments. Studies show it acts not only as an antioxidant—it quenches superoxide radicals and repairs cellular free radical damage—but also as an anti-inflammatory in the body. It also helps the body use the trace minerals zinc, copper, and manganese, which defend the mitochondria from free radical damage. Studies have also found a strong link between occupational EMF exposure and ALS. Although there’s no leading theory on a possible biological explanation, European researchers who found changes in “antioxidant defense systems” in the brain think that could provide a clue. – Optimum dosage: 5,500 units, 1-3 times per day, which can be found in Oxi-Key, along with Vitamins E, C and B2, catalase, L-glutathione, N-acetyl cysteine, Lcysteine, and L-thioproline. EMF Protection: Nutrition is very important, but by itself is not enough to fully protect us in a world where we are blanketed by EMFs. The time has come for additional measures of protection. I have two recommendations: Shungite and Aulterra neutralizers. Shungite is a rare Russian mineral with evidence-based EMF protective properties. Due to its highly unique molecular carbon structure, shungite is able to transform manmade EMFs into biologically compatible frequencies. Shungite is available as EMF jewelry and also carved into larger sculptural forms that can be placed around your home. Make sure your shungite comes from a reputable source because fakes do exist. I purchase mine from Shungite Queen. To see her products or for more information about shungite, check out her website here. Aulterra’s excellent products neutralize EMFs with a proprietary blend of rare-earth element-enriched minerals and are also substantiated by science. I recommend their cell phone “Neutralizer” and Whole House Plug. To learn more about Aulterra’s products, check out their website here. This article was originally published in the Fall 2012 edition of The Nutritional Therapist. 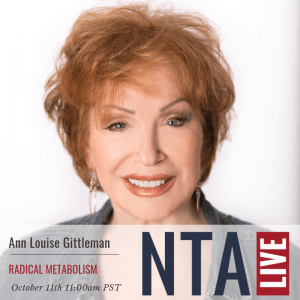 Dr. Ann Louise Gittleman is a visionary health expert and New York Times award-winning author. She can be found at AnnLouise.com. Interested in learning more about Ann Louise? Join her for a Facebook Live on October 11th at 11 am PST. Register for the live event.